UT’s 10-hospital health system in Northeast Texas will increase medical manpower in a high-needs area, according to Dr. Emmanuel Elueze. The University of Texas Health Science Center at Tyler’s joint acquisition of a 10 -hospital health system in Northeast Texas will soon triple the number of medical residents available to provide treatment to people in seven high-needs counties. Of the seven counties served by the newly-named UT Health East Texas health system, five rank in the bottom 30% of Texas counties on a variety of key health factors that influence how long and how well people live, according to a recent report by the Robert Wood Johnson Foundation. “East Texas unfortunately suffers from very poor outcomes, so any help we can provide here will go a long way,” said Dr. Emmanuel Elueze, Vice President for Medical Education and Professional Development at UT Health Science Center at Tyler. 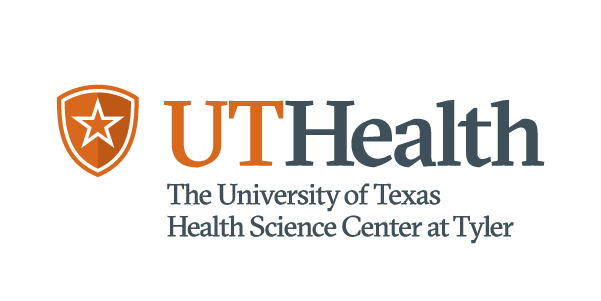 While co-owner Ardent Health Services will manage operations, UT Health Science Center at Tyler have oversight over expanded medical education, community health initiatives, and research within UT Health East Texas. Along with the ten hospitals, the health system also includes regional clinics and emergency centers, rehabilitation facilities, a trauma care network, including a Level 1 trauma center, home health services, and a behavioral health center, along with helicopter and ambulance medical transport services. “From the UT perspective, this is certainly a great opportunity for us because now we have a health system in East Texas with much larger clinical resources,” Dr. Elueze said. UT Health Science Center at Tyler is one of a handful of university centers in Texas that offers graduate medical education, the three- to seven-year residency programs that medical students pursue after completing four years of medical school. Prior to the purchase of UT Health East Texas, UT Health Science Center at Tyler had been the sponsoring organization for 100 funded positions in five residency programs in the region—occupational medicine (Tyler, Texas), internal medicine (Longview, Texas), family medicine (Tyler, Texas), rural family medicine (now in Pittsburgh, Texas), and psychiatry (Tyler, Texas). The newly purchased health system features a 500-bed hospital in Tyler, Texas, which will initially host two additional programs—a five-year surgery residency with three available positions per year and a three-year internal medicine residency with 20 available positions per year. Both new residency programs recently received accreditation, and the first residents in the programs will start in July of 2020. A new family medicine residency program in Athens, TX is also being developed, and new residents could start as early as 2021. By 2025, the University hopes to triple its residency footprint, offering up to 300 resident positions in various core medical disciplines. Dr. Elueze hopes that the additional residency slots will encourage more doctors to permanently settle in Texas after graduation. This would be a particular boon for Texas, since according to personal finance site Wallethub the Lone Star State ranks dead last among all 50 states when it comes to providing people with accessible healthcare. The new surgery and internal medicine residency programs in Tyler will begin accepting applications in July 2019.